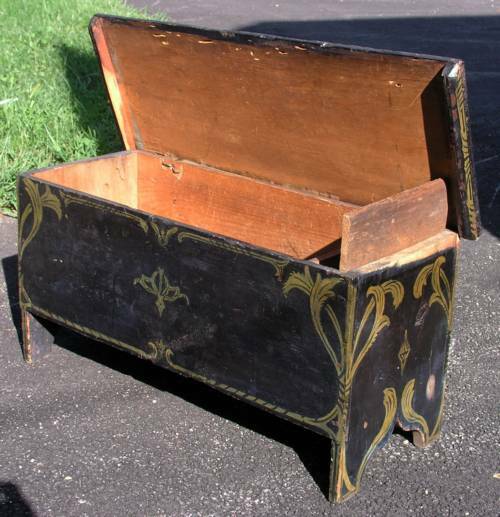 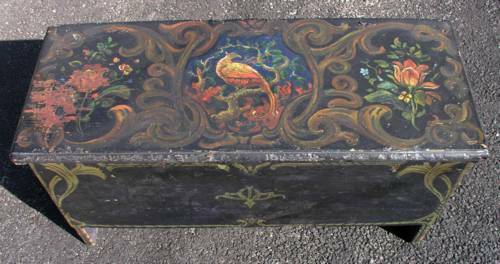 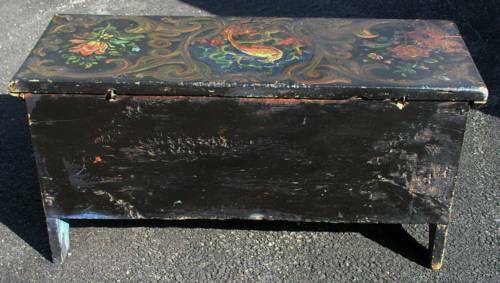 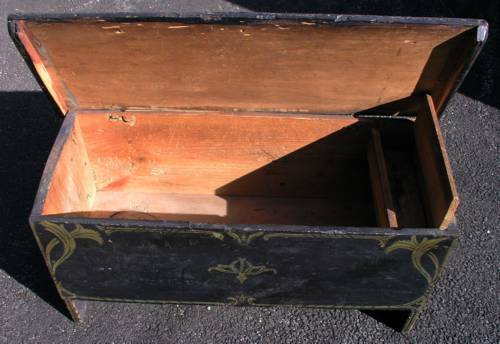 Late 18th / early 19th century miniature painted blanket chest with till. 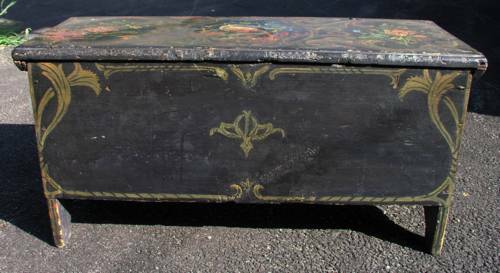 It appears that it was originally painted blue and now has a black over paint with decorated top and coach painted pin striping that has been on the piece a long time and not recently done. 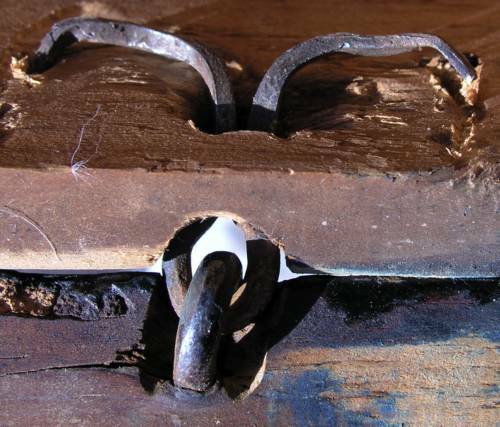 Also has boot jack cutout ends and wrought iron blacksmith made hinges.